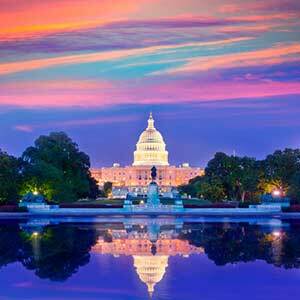 Companies in need of Washington DC IT services should contact Network Depot (ND). This company has been providing a wide variety of IT support services to many businesses operating in Washington DC since 1991. Its experience in the industry has enabled the firm to collaborate with many small companies, as well as medium sized ones, to implement the IT practices and solutions that appropriately match their requirements. Seeing as how ND has been in the market for more than 20 years now, it is easy to understand why local companies can be sure that they will be helped through the provision of the superior customer service, the flat fee Washington DC IT services and the proactive solutions businesses need in-order to improve their operations. ND provides Washington DC IT services by dedicating itself to working with business clients on a proprietary flat fee basis. By so doing, this company will never charge local firms for any of the small service requests that might arise in their IT infrastructure and affect their daily operations. By choosing these Washington DC IT services, local companies can rest assured that ND will evaluate their IT support needs. Afterwards, the company will assess the flat fee rates that it will charge the client on a monthly basis to ensure that businesses continue enjoying the comprehensive IT support services provided. The company’s experience in the market and their flat rates have enabled many local businesses in the DC area to take advantage of the IT services provided, while ensuring that their budget remains constant month in, month out. The support fee plan also enables local organizations and companies to operate optimally knowing that their IT issues will be effectively and affordably dealt with without having to pay the hourly rates most other providers of IT services in Washington DC tend to charge. ND also provides Washington DC IT services to support local companies by ensuring that they experience fewer issues, less downtime, and improved productivity over the long haul. To ensure that companies are comfortably helped, this IT service provider has made it very easy for clients to get in touch with the responsive help desk as well as with the expert IT support team at ND. This means that clients can easily reach the company whenever they are in need of the most appropriate solutions to their IT needs. ND is a member of the larger Apple Consultants Network. Additionally, its technicians are all Apple-certified. Therefore, local firms can rely on this company to provide them with the support they need for Mac-related requests, as well as for iPads and iPhones. Cloud IT has enabled many companies to reduce their IT setup and management overheads, while bolstering their organization’s efficiency. ND has a cloud data center that clients can rely on for all the above purposes. The Washington DC IT services provided by our company will also come with comprehensive support for computer hardware. These services are provided through the innovatively affordable monthly flat-fee rate ND is known for. We also provide disaster recovery and backup services. We will backup and archive all data to protect it against loss. When a disaster occurs, ND will set out to recover and restore the affected data. The help desk support services from ND are designed to support local businesses by identifying and addressing technical issues when and as they arise. We also provide both on-site and remote support depending on what clients are looking for. The technicians and IT consultants at this company help clients optimize their operations by improving infrastructure and automating their daily operations for faster speeds, improved functionality, and greater business productivity. 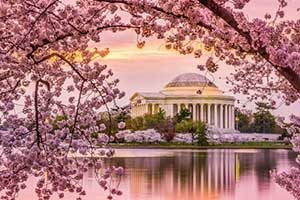 As part of the Washington DC IT services this company provides, it can also connect businesses to third-party software and hardware vendors who will supply them with the solutions their company needs to become more productive. ND provides managed care services for both local and cloud servers. By so doing, it will prevent data loss and any potential confusions with the setup in the client’s network. ND also provides Washington DC IT services dedicated to mobile connectivity. It will help clients choose the best mobile platforms/devices and gadgets to use for the purpose of setting up a functional mobile office. This desktop care service will generate the detailed inventory report and configurations clients need to prevent certain problems from occurring. All of these are provided from the Network Operations Center at ND, and encompass detailed service responses, serial numbers, and license expirations. The inventive content filtering service provided by ND gives clients greater control over the websites their users/visitors can go to. This service is both intelligent and necessary for protecting client operations. Network Depot’s firewalls will block unauthorized access to its clients’ computers and networks. They will also protect client data against attack from viruses and malware. The Washington DC IT services provided by the company also include remote monitoring and maintenance. Through this service, it will monitor and track client workstations and servers, as well as solve problems that might arise in the course of client operations. Network Depot can also acquire licenses, ensure client software solutions are properly implemented, and keep clients on track with every license compliance instituted by the companies which provide these software tools. 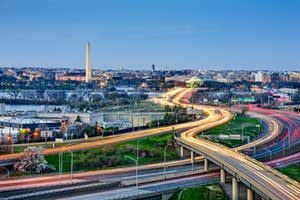 To find out more about the Washington DC IT services Network Depot has to offer local businesses in Washington, please get in touch with us today by giving us a call or sending us a message online.